Coca-Cola is slashing the sugar content on Fanta and rolling out a new visual design for the brand with an "industry-first" spiral-shaped bottle. The new recipe will see the sugar content of the product reduced to 4.6g per 100ml – below the 5g that will incur the soft drinks levy that is due to come in next year. The current version has a sugar content of 6.9g per 100ml – itself a third lower than the recipe used before 2016, when some of the sugar was replaced by sweeteners. With supermarket sales of £140.5m last year (according to Nielsen), Fanta is the third biggest carbonated soft drinks brand in the UK, after Coke and Pepsi. Unlike Coke, it is also growing, with sales last year up 3.2%. Alongside the reformulation, the drink is getting a new look. A new logo was created using hand-cut paper before being digitised and is intended to depict movement and spontaneity, the brand said. The bottle meanwhile, which comes in 2-litre and 500ml versions, features a shape that suggests the bottle has been twisted by hand. Taking two years to create, Coca-Cola claimed that it was the first asymmetric bottle to be introduced by the industry. The relaunch will be supported by an integrated marketing campaign based around social media activity and also including out-of-home, sampling, and in-store promotions. 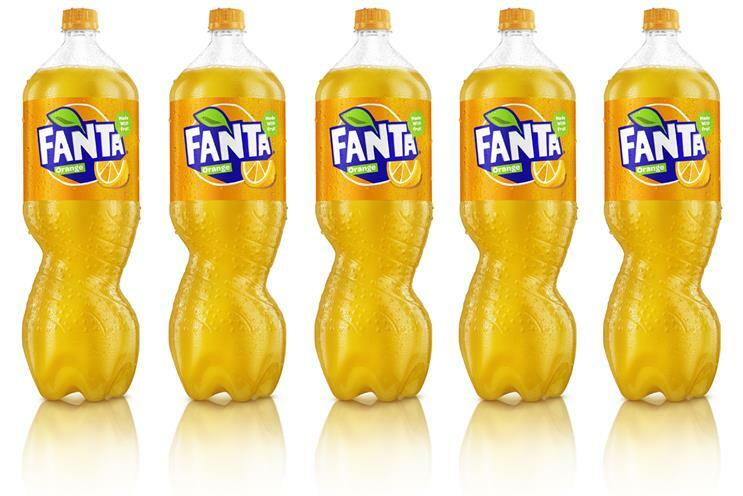 Aedamar Howlett, marketing director at Coca-Cola Great Britain, said: "This year looks set to be the biggest in Fanta’s history, with a fresh new look inside and out. The new look will be supported by a multi-million-pound integrated communications campaign for the brand. "As well as a new visual identity, we’ve been working hard to reduce the sugar without compromising on the taste and we’re delighted to be launching this new look alongside a new recipe with a third less sugar than before which consumers have told us tastes better than ever." Which brands will be hit by the sugar tax?